THE Rev. 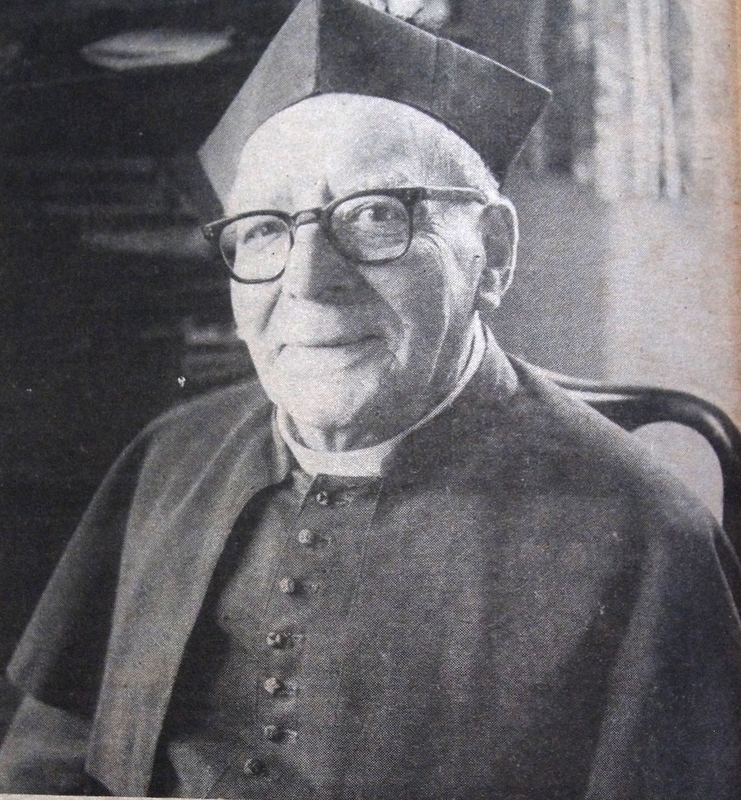 H. D. Speakman, Vicar of Crowle for 35 years and Rector of Wroot since 1959, has announced his intention to retire, and is planning to move, probably early in October, to a smaller house with his wife and daughter near Norwich, two miles from a married son. He is probably the longest-resident vicar in the history of Crowle. Announcing his decision in the July church newsletter, “with mixed feelings,” Mr. Speakman gives two reasons. “I am now over 82, at an age when most people are not working full- or even part-time. I have given the best years of my ministry to Crowle, but am conscious that my pace is now much slower. During his term of office Mr. Speakman has officiated at 973 baptisms, 392 weddings and 721 funerals. This does not include the many similar functions he has taken many times in every local church during vacancies as Rural Dean from 1951-69. Mr. Speakman will not easily be forgotten in Crowle where he has helped to raise thousands of pounds for the renovation of the church and putting its finances on a firm basis, notably through the home box scheme which he introduced. In 1954 he received £560 while sitting in the Market Place for 12 hours to raise funds for the interior decoration of the church. On several occasions the organ has been rebuilt with additions, the parochial hall has been modernised at a cost of £1,000 and recently the clock has been renovated. There have been expensive gifts to beautify the interior of the church, notably a sacramental aumbry, sanc-tuary lamps, a new high altar and panelling, mortuary chapel, pulpit costing £500, and a handsome high altar crucifix. The church possesses fine sets of vestments, acquired at various times, the latest being a handsome red and gold one for festivals, presented by Mr. and Mrs. J. Ramsden of Tetley, to commemorate the vicar’s 35 years’ stay. Mr. Speakman has also taken his part in civic affairs, being for many years on the parish council, and taking his turn as chairman, and was also honorary secretary of the British Legion. In the newsletter he says: “I shall often remember my work here and hope you will think kindly of one who sometimes was rather outspoken, but without malice, and who tried his best to be of service to the flock committed to his charge. It is understood is being testimonial organised for the Vicar. In my youth, when My Speakman was the vicar and we still had a local brewery, Crowle was a hotbed of methodism with two large congragtions at both Fieldside Wesleyans and the Primitive Methodists many of Mr. Speakman’s congregations were almost Methodists. We young gentlemen suffered from the rigours of total teetotalism, even as a student having had the odd pint in the student’s Union, I would never dare to cross the threshold of one of Crowle’s numerous pubs. One Harvest Festival the brewery donated a quart bottle of finest pale ale, which Mr Speakman put in a place of honour in the centre of the table and worse informed his congregation that he was going to drink. Subsequebtly we were reliably informed that a miracle had occured and the contents transformed into cold tea.